OSRS Range is one of the most important skills to train on OSRS. It’s one of the three Combat classes in the game and is about using stuff like bows, crossbows and thrown weapons such as knives to attack an opponent from a distance. 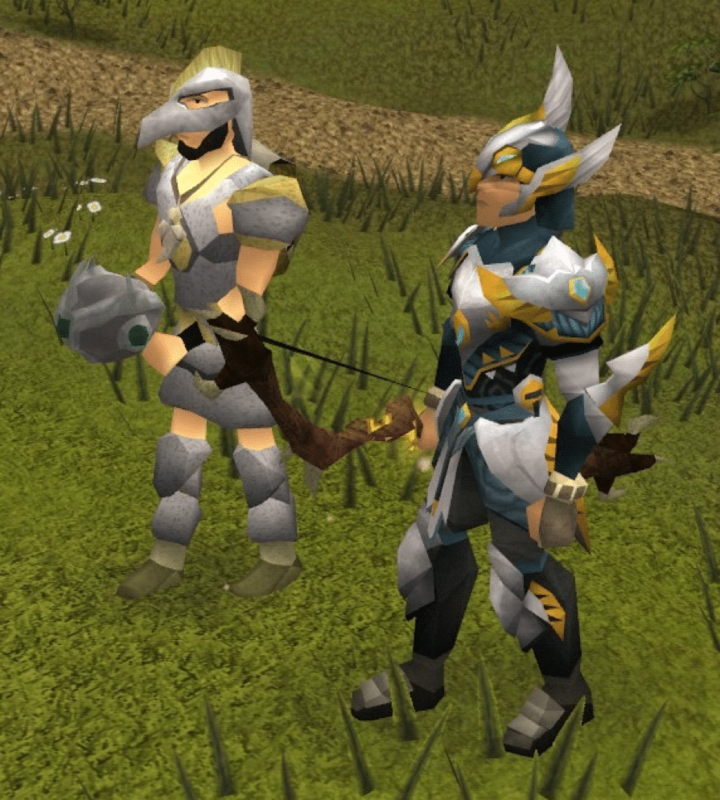 The players that specialize in Ranged are known as rangers or archers. Ranged OSRS is a very popular skill because it can give you the highest accuracy of any combat type, i mean compare its maximum boas of +234 to Ranged attack with Magic with its maximum of +152 and Melee with an optimal of +170 to slash. It’s the best skill to use against monsters with high Defence level because the player can safespot the monster from a distance and fight safely. However, some melee monsters have high Ranged Defence, so you need to have a high Ranged level to defeat them. We recommend using a crossbow against monsters with especially high defence, because of their great accuracy. In general, according to the combat triangle Rangers are strong against mages but weak against melee fighters. Deciding which combat class you prefer depends mostly on the type of player you like to be; if you like to get close and messy and to hit without much planning and with a lot of risks, melee skills can be better for you. Ranged is a skill best suited for those who like to have a strategy and to make the most of their time in the game, optimizing their combat style so they can both deal great damage to the enemy and take as little damage as possible. By the 1st of September 2018, there are 109,088 players with 99 Ranged. If you want to be one of them but can’t settle on a particular way to train, this is the article for you! As we have trained many accounts up to level 99 Ranged, we know how to do it in the most efficient way and we’re going to share that secret with you. Keep on reading if you want to learn from this 1-99 Ranged Guide OSRS how to train your OSRS account to max level as fast and cheap as possible! Together we will go through the weapons, the gear, the quests, and the best training areas for each level. First, let’s review the three combat options we have for pretty much all ranged weapons. You can choose the accurate style, with which you receve 4 xp in Ranged and 1.33 xp in Hitpoints for every point of damage. This style allows you to shoot less often than the other two styles and you receive +3 invisible bonus to your Ranged level, which increases accuracy. You need that accuracy boost at a low range level so you might want to start with this combat style, then switch to rapid. With rapid style, you get the same Ranged and Hitpoints xp for each point of damage, however you can shoot more often yet you are more likely to miss. This mode gives the best xp/hour. Once you go beyond level 10, it’s best to use Rapid. Your third option is to use the longrange style, with which you also train Defence and your 4 xp points are split equally between Ranged and Defence. Attack range is increased with this combat style and it also gives you an invisible +3 boost to your Defence level. It’s pretty much for people who want to increase the attack distance and train Defence at the same time and it’s significantly slower than the other two. You can view all the weapons, armour and ammo when you click on the Ranged icon in your skills tab, but we’re going to list here only weapons that give an att bonus and have proven to be more effective and fast than the rest. The fastest way to get xp at a lower level is with OSRS Cannon, also known as Dwarf Multicannon. Getting from 1-80 by cannoning caged ogres in the Combat Training Camp is a very quick but expensive way to level Ranges OSRS. There are no level requirements to use the cannon, you just need to complete Biohazar and Dwarf Cannon, and it provides a lot of xp. The cannonballs, however, are very expensive and many players can’t afford them. You can buy cheap OSRS gold and train Ranged with cannonballs fast and effective! We wouldn’t advise using cannon after level 80, because red chincompas on red skeletons at the Ape Atoll dungeon will give you better xp. Throwing Iron Knives used to be a great choice for training on things like Rock Crabs at low levels but steel or mithril darts are a better option now because they share the same attack speed as the iron knives, give better or equal range bonus, and are cheaper. Once you’ve unlocked the Mithril Darts, it’s best to use them because they provide great speed and bonuses and are pretty cheap. You can equip them after level 20 Ranged and are very cost effective for low level players. The Dorgeshuun Crossbow is an amazing way to train cheap, because Bone Bolts cost about 3 coins each and you don’t need any quest to use the Crossbow. If you’re looking for a cost effective way to train, you can start with a Shortbow and bronze arrows and switch to The Dorgeshuun Crossbow and Bone bolts after level 28. 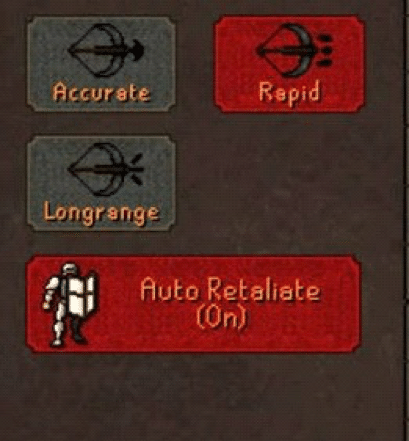 At 70 range you can equip the Karil’s Crossbow which is an excellent weapon not many players know about for whatever reason. It fires bolt racks which break when they’re fired, and is a bit similar to the Shortbow in a way that it fires fewer but more powerful shots. The Karils crossbow has a higher dmg/s at the expense of the shield slot. It’s the fastest crossbow in the game, and also the only one you use with two hands. However, it degrades fully after 15 hours of combat. But you can repair it which can get annoying and expensive. Blowpipe and Chinchompas are pretty good and fast options for getting Ranged xp at a higher Ranged level (over 70 even if they are available earlier). There is one simple rule to follow when it comes to Ranged Gear – always use the best Dragon Hide armour you can afford at your level! Once you’re level 70, you can access pretty much all the gear for Ranged OSRS. Remember to pair up your training armour with Ava’s Devices because it will save you a lot of OSRS gold. We will talk about this later in this article in the Quests OSRS part. • Level 1: Not many options here, stick to Leather gear which consists of leather cowl, leather body, leather vambraces, and leather chaps. You can also get an amulet of glory, obsidian cape and a combat bracelet but since level 1-20 takes no more than two hours, it’s not necessary. • Level 20: Use studded leather gear. At level 25 you can switch to frog-leather armour but it’s not necessary. • Level 30: Snakeskin armour. • Level 70: Now you have a few options to pick from. First one is the Black Dragon Hide (D’Hide) which is very cheap and does a good job. 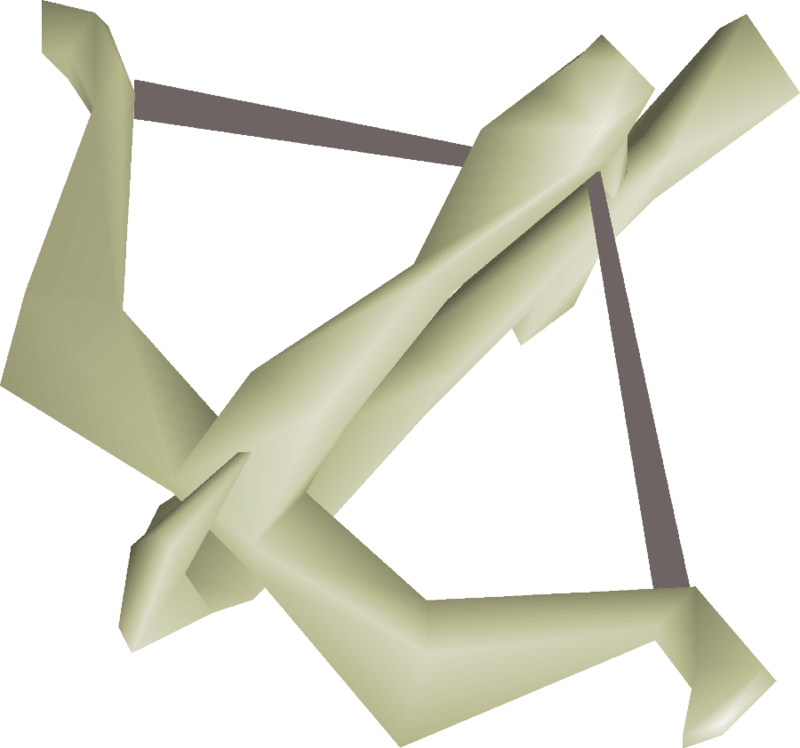 Many rangers choose to train Slayer as well – we will elaborate later in the article on why Slayer and Ranged often go together, so if you do that you might want to get the God Dragon Hide (D’Hide) because it gives you an extra Prayer bonus. Karil’s armour is good too, but it’s degradable. The best in slot is the Armadyl armour and it’s also the most expensive but you can buy OSRS gold and get it. Here are some useful quests you can complete to make your Ranged training easier. Dwarf Cannon quest is for those who want access to the Dwarf Multi-cannon which is the fastest way to train at a low level and is also great for those who train Slayer. The Horror from the Deep quest will give you access to the God Books and the Armadyl book will provide you a +10 Ranged Attack bonus. Not as vital as the rest, but also a good addition to the list is the Temple of Ikov quest, because it gives you great xp and when you finish it you get 10 500 Ranged xp extra. It’s also a requirement for Desert Treasure. The Monkey Madness 1 and 2 questsgive you Ranged benefits too. The second one is better because the Chinning caves give you better xp. • Level 1-10: Either killing chickens in the Lumbridge chicken farm where you can also collect their feathers for more ammo, or Sand/Rock/Ammonine/Swamp Crabs. • Level 10-20: It’s either the Crabs or moving to the cow pen northeast of the Lumbridge chickens where you can deal with slightly stronger monsters. • Level 20-40: Option one is sticking to your Crabs of choice. Option two is moving to the Stronghold of Security and finding the minotaurs on the first floor. You can kill those along with wolves when you get to a higher level, a good thing is there is a safespot in the first room on the right right behind the stone fencing. You can pretty much shoot through the fence if you have a low level and don’t train Defence. • Level 40-60: You have a lot of options here. Now Sand Crabs on the south-eastern coast of Zeah and Rock Crabs in Rellekka give you good xp/h and are pretty afkable. The Hill Giants in the Edgeville Dungeon are a safe option too, they also the drop the Giant Key which gives you access to fighting Obor. You can also train on Ogres to the East of Castle Wars or at King Lathas’ training ground but it’s usually crowded there because people go there to cannon. However it’s safe and you can make extra money from herb and seed drops. Or you can find the Moss Giants in Ardougne or at the end of the Varrock sewer and train on them, since they have a very low range defence bonus it’s easy to kill them at a lower level. Another option available after level 50 is to train on Bandits at Kharidian Desert which doesn’t give such good xp rates but is very AFKable. If you wear a Saradomin or a Zamorak item, the Bandits will stay aggroed and you just have to move a little every 20 minutes. • Level 60-80: You can make some money fighting Ankou in the Stronghold of Security as they give good drops. Pest Control gives about 15,000-30,000 xp/hour when you’re between 65 and 70 Ranged level but that’s a little bit less than you can make at the Ammonite or Sand Crabs. • Level 1-80: If you have OSRS gold to spend, that’s the fastest way to get to a 99. Killing caged ogres in the Combat training camp will get you to 70 Ranged in under 10 hours but it will cost you over 9 000 000 which is almost 10 GP/xp. Ice trolls is a good place to train with cannon too. You must complete the Fremennik Trials quest, then you go to the easternmost coal rocks in the Fremmenik isles and set up a cannon a few steps to the south. They drops a lot of valuable Alchables and shields so it won’t be as taxing. Always do this with a Troll Slayer task, it can give you great Slayer xp too. Ice trolls are not a good option for low level players though, so it’s better to start with the ogres. Scarabites are a great option too, because you can profit a lot from them even when you use a cannon. Theyre’ in the Sophanem Dungeon and you can use the Pharaoh’s Sceptre to get there. Locust Riders drop many noted items and high level stuff. Pair them both with the bonecrusher and the dragonbone necklace and for females, the fremennik shield, because this will reduce the need for using Prayer pots and will save you a lot of coins. Red Chinchompas can be used to kill Skeletons in the Ape Atoll Dungeon. That’s called Chinning. You can do it at a lower level but it’s best to wait at least until 75 Ranged. You can also use Grey chinchompas, as they are cheaper, but they have the slowest xp rates. Remember that if you die, all of your Chinchompas will be lost! When you complete Monkey Madness 2, you can use the chinchompa method Maniacal monkeys which improves you xp rates significantly. This method is pretty expensive though – getting to 99 by Chinning can cost you over 50 000 000 with Red chinchompas. 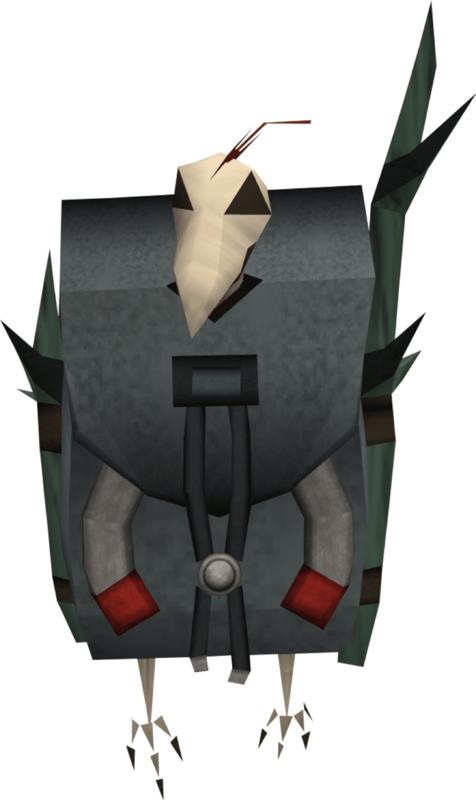 If you use Black Chinchompas, you can reach rates about 1 000 000 xp/h with the Monkey Madness 2 Caves method where you keep stacking the Monkeys on top of each other. It will cost you more though – Chinning to max level with Black Chinchompas costs over 80 000 000 so you might want to buy some OSRS gold! Another option is TzHaar in Mor Ul Rek. If you want to be as afk as possible the Nightmare Zone minigame is your best call. You can get up to 90 000 xp here if your gear is good and you’re using a Blowpipe, otherwise the rate is about 60-70k xp/h. Chinchompas are far better but not everyone can afford them, also at NMZ you can just use super range and absorption pots and pretty much be AFK after you’re set up. Using Dwarf Multicannon paired with Slayer is a great way to train Ranged. You get about 0.76 Ranged xp for 1 Slayer xp so if you get to 99 Slayer with the Cannon you’ll be also at 95 Ranged. Another reason for rangers to train Slayer is because the Animal Magnetism quest requires level 18 Slayer. You can also use the black mask/Slayer helmet which will give you a 15% Ranged accuracy and damage boost. This entry was posted in How-To Tips & Tricks, Latest OSRS News, Old School RuneScape, OSRS Mobile App, RuneScape 3 and tagged 1-99 Range Guide OSRS, 1-99 ranged guide osrs, animal magnetism quest, dwarf cannon quest, dwarf multicannon, osrs 1-99 range guide, osrs cannon, osrs range, osrs range guide, range guide osrs, ranged osrs. Bookmark the permalink.